It is grill season and we are putting our grill to use. It is hot outside and their is no point in heating up the house to cook dinner. I am either using the crockpot or the grill. My hubby is the grill master when it comes to chicken or beef, but I took care of this Grilled Watermelon Salad. Cut your watermelon into 8 – 1 inch thick pieces. Grill for only 1 – 2 minutes on each side just to get some grill marks. The grill really brings out the sweetness in the watermelon. 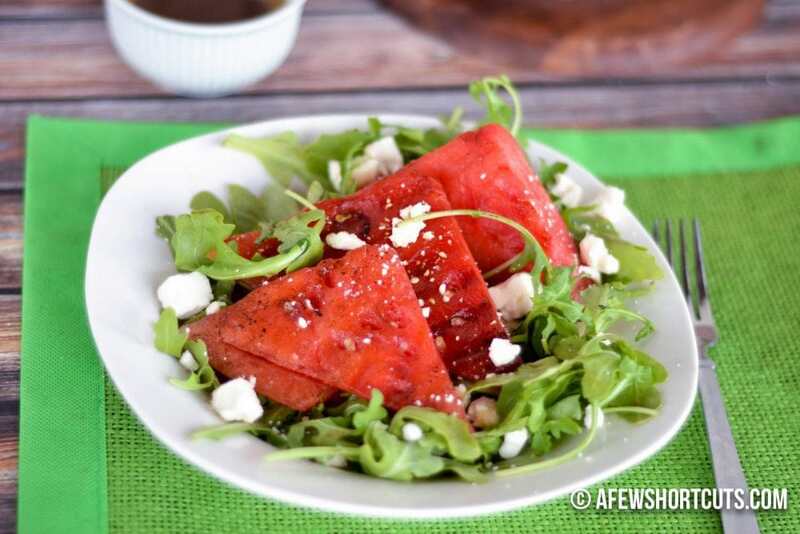 On your plate make a bed of arugula, top with grilled watermelon, sprinkle with feta, and drizzle with the balsamic dressing. Such a fresh and tasty side dish or appetizer! 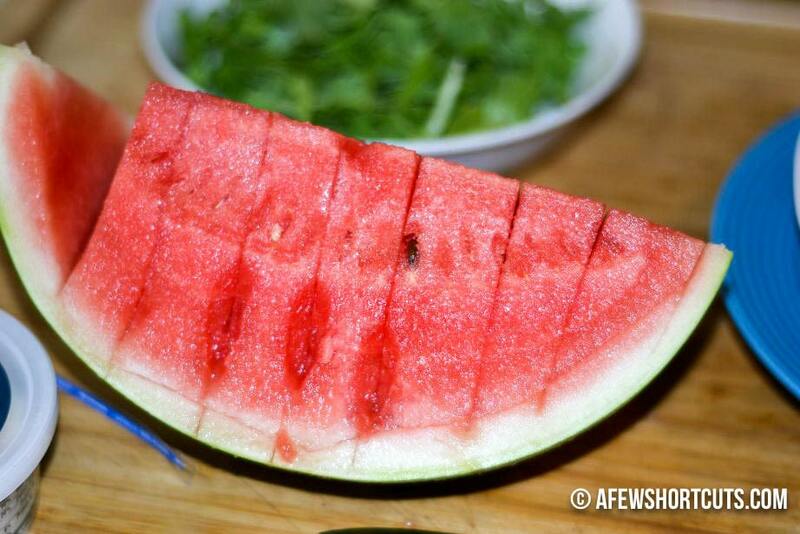 Stand the watermelon half cut side down on a cutting board and slice away the rind, leaving a solid block of melon. Cut the watermelon into 8 pieces about 1 inch thick. 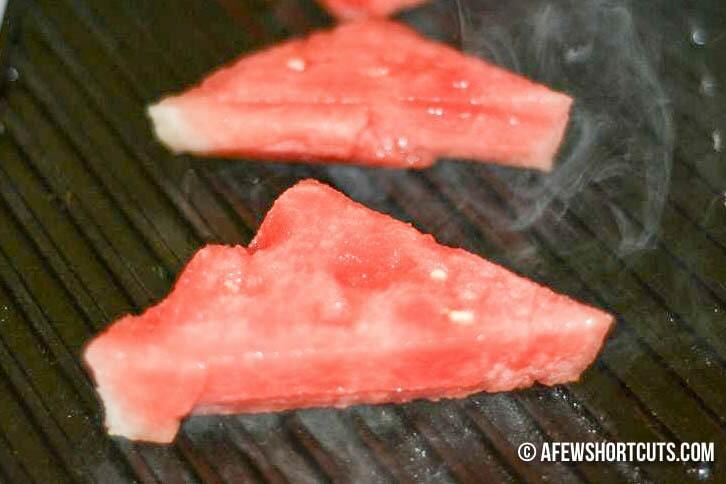 Place watermelon on the grill for 1-2 minutes on each side or until you have nice grill lines on your watermelon. 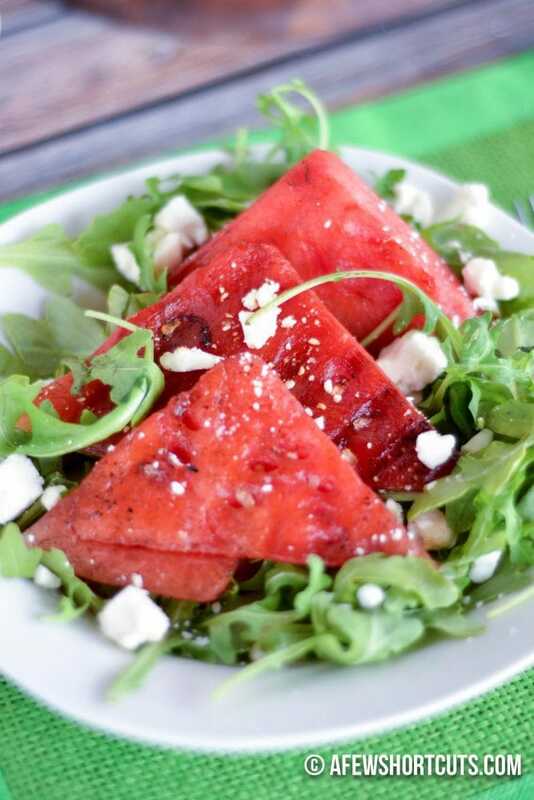 Place your watermelon on a bed of baby arugula lettuce. Top with Feta cheese and balsamic salad dressing.